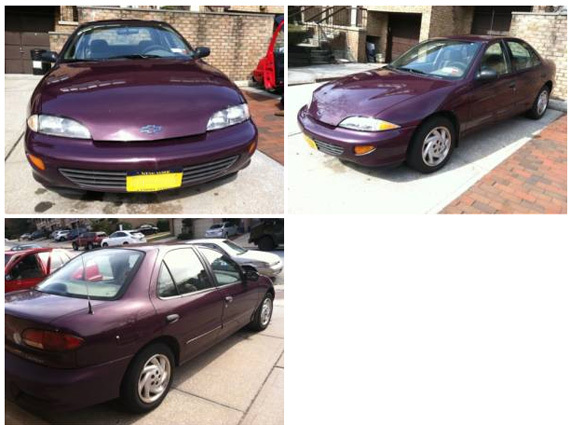 “Looking to trade my car, 96 chevy cavalier for a pair for galaxy foamposite size 10.5. Yes car for sneakers. Car will come with a full tank of gas also. Nothing fake about this deal. 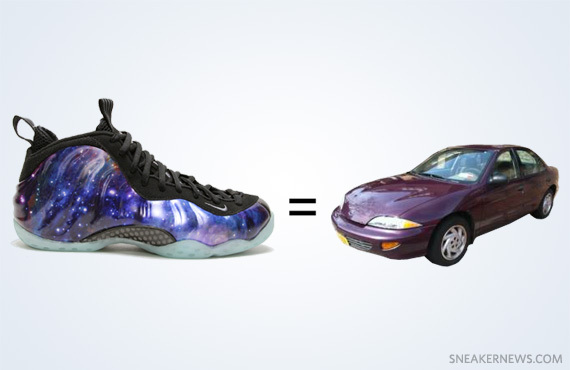 You give me your pair of galaxy foamposite size 10.5 and i give you my car, keys, clean signed tittle and ill even the bill of sale filled out already. And ill even drive to you. 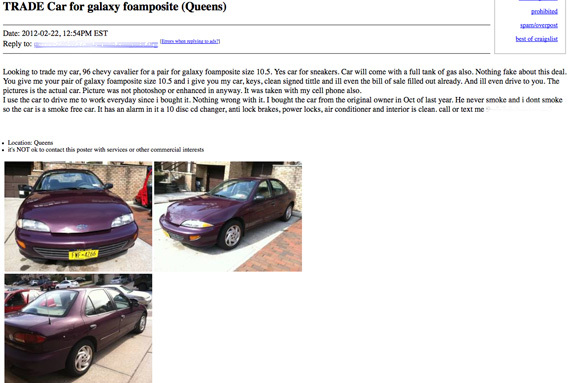 The pictures is the actual car. Picture was not photoshop or enhanced in anyway. It was taken with my cell phone also. 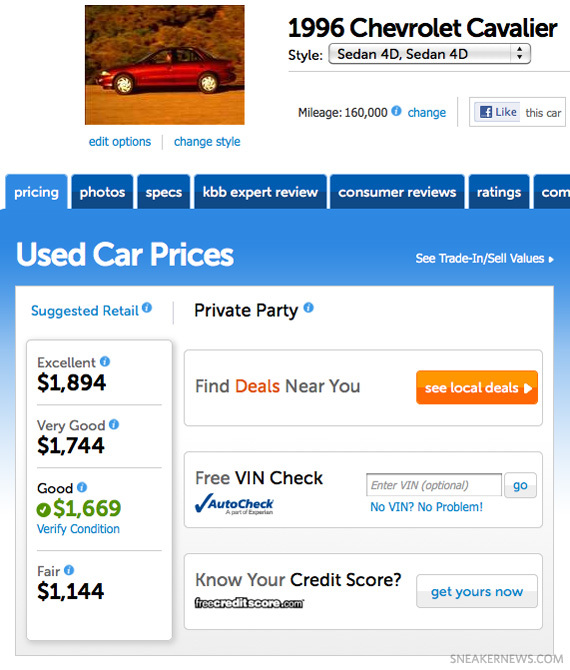 According to Kelley Blue Book, the value of a pre-owned 1996 Chevrolet Cavalier ranges from $1,144 to $1,894.